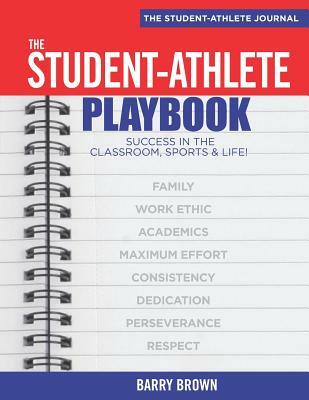 This journal-workbook is for student-athletes to extend their writing and deepen their understandings of the Amazon Best Seller, The Student-Athlete Playbook, and related materials. Included are writing activities related to famous athlete quotes, as well as a myriad of videos related to student-athlete perseverance and inspiration. What a benefit it will be to have your student-athletes become Student-Athlete Achievement Program Certified --- Academic Compliance/Athletic Training/Character Education --- *Help your student-athletes position themselves for academic & athletic scholarships.